NETTS have entered a women’s team in the British League this season and have started with a bang, winning all five of their matches over the first weekend in Wolverhampton. They had two 6-0 wins, one 5-1 and two at 4-2. 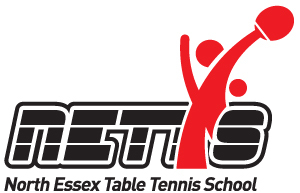 We were represented by tour regular league players Nikki Davison, Maria Boulton and Lucy Wang, and current Clacton ladies’ singles champion Gracie Edwards, the Essex junior No.2. Lucy won six out of six at the weekend while Nikki came close to following suit and was thwarted only at 13-11 in the fifth by Katie Bates of Ormesby 2.